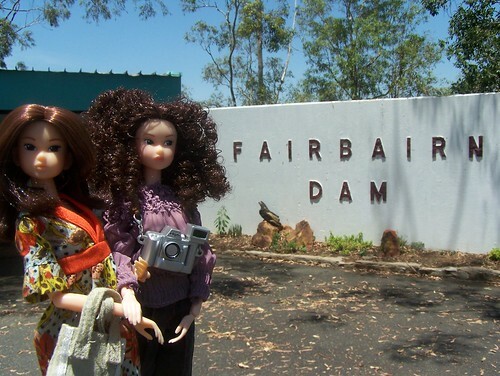 Post subject: AUSTRALIA: Fairbairn Dam, Queensland. Pics from warm sunny Queensland, Australia. Our local Dam is the life blood of our region and was as low as 15% this time last year. After devastating floods in Jan 2008 the Dam reached full capasity and is 3x the size of Sydney Harbour. Huge amount of water. 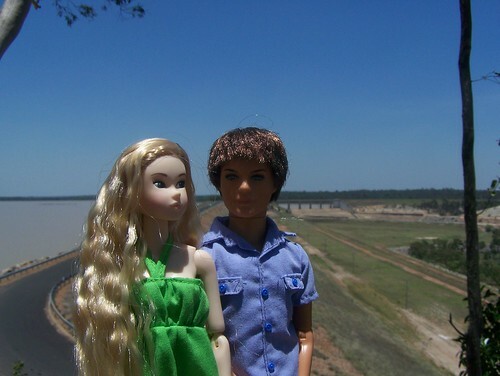 The Dam is a popular recreation area including BBQ's, picnic spots, lookouts and water sports. It provides agriculture with irrigation, coal mines and town use with much needed water supply. With good management we are guaranteed water supply for 5-10 yrs. Thanks for looking at my part of the world. Christmas Day? Sunny and warm (I guess)? You've got it good down there. Very good pics. I especially like the second one. It's a very interesting shot. It's hard to realize that it isn't cold everywhere during Christmas But things are changing. We get warmer and warmer weather here up north in Sweden. My Brother got to vacation in Australia & New Zealand for 2 weeks last year. He took lots of beautiful pictures. I was so envious! Woohoo! Nice to see pics of Australia. I'll see if I can get an assortment of pics together. The country is huge and quite diverse. I have pics from all over although not so many of Momoko out and about as I have only just 'found' her. bo_anders- No, def no sharks in the Dam (no crocodiles either). The water in the Dam is 'freshwater' a term we use to describe rain collected. Our Dam is 450klms (not sure what that is in miles) or, a 4 - 5 hour drive from the sea where the sharks live. The Dam is artifically stocked with fingerlings (baby fish) to provide the fishing fanatics with something to catch. We also have 'Red Claw' which are a freshwater hard shelled Crayfish/Lobster. YUM. Years ago we were swimming and some eels brushed up against our legs, scared the *%**#@ out of us. Hehe. Totally harmless though! One of the most popular water sports is water sking... Do you know what I mean? A white Christmas is on my to do list. Will have to go O/S for that though. The closest we have is some of the ski resorts down south (2 or 3 day drive away, 15,000klms) hold White 'Christmas in July' celebrations. Where I live; the day time temps in winter are a pleasent 18 Degrees Celsius and the lowest (at night) is usually 8 dc. T-Shirts all year round here.